As an Adult Fan of LEGO® I was surfing the web for inspiration and one day stumbled upon LEGO® CUUSOO (now LEGO® Ideas); a platform that enables you to submit your own idea for a LEGO set. If the idea gets 10,000 supporters it will be reviewed and may be turned into an actual LEGO product. I was immediately excited about the concept, but as a natural skeptic I wondered if it was real. There was no mention of it on the official LEGO website, but CUUSOO seemed to be an established Japanese platform so I decided to put my toe in the water and posted a project in April 2012. I had been building with LEGO bricks for 10 years since coming out of my Dark Age (LEGO-devoid period), but I had never shared any of my creations online. This project was going to be the first creation I ever shared with other people. The idea for the project came very naturally and the question how I came up with it always makes me smile. 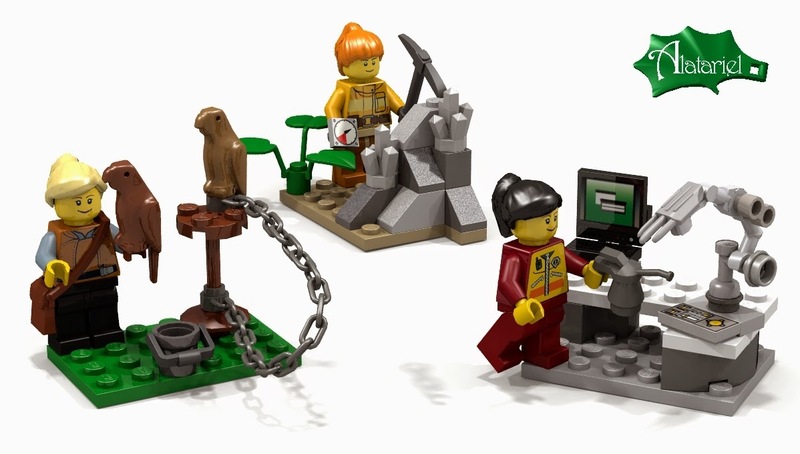 As a female scientist I had noticed two things about the available LEGO sets: a skewed male/female minifigure ratio and a rather stereotypical representation of the available female figures. It seemed logical that I would suggest a small set of female minifigures in interesting professions to make our LEGO city communities more diverse. As a geochemist I started with designs close to my own profession, a geologist and a chemist, and then expanded the series to include other sciences and other professions. Support rates in the first weeks after posting were slow, but at some point it started to pick up speed and many people left positive comments on the project, which encouraged me to expand and develop the project. I designed 12 little vignettes in total that consist of a minifigure with a 6x4 base plate and a corresponding setting to enhance the building experience and stimulate creativity. When designing the vignettes I tried to add things that would also make them attractive to people not necessarily interested in female figures. Especially the dinosaur skeleton turned out to be a real winner that is popular with a variety of people ranging from teenage boys, to parents, to AFOLs, etc. It is easy to imagine a different setting where the skeleton may come alive chasing the minifig or it could stimulate more building, for example a museum where it can be displayed. LEGO® Ideas is about suggesting a single set to be produced so when the project started to approach 10k I asked people to vote for their favorites. 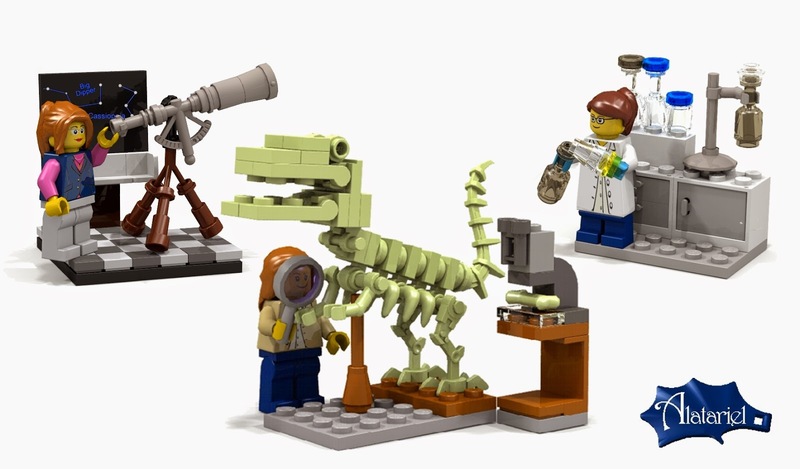 It became clear that the science sets were the most popular so my final proposal was a set that could represent a Research Institute - similar to the one I work at - including a paleontologist, an astronomer and a chemist. I would like to thank everyone who supported and shared this project. It was promoted on various websites, which resulted in a stream of support and I am absolutely thrilled that the combined effort has lead to this great success. I hope my project will pass review and result in a great LEGO product we can all buy! I'm particularly enjoying this as I have women friends in almost all of these professions. (paleontologist, geologist, astronomer, chemist, judge, robotics engineer--and my wife was a falconer.) Guess what I'm giving them for their birthdays! Thank you! 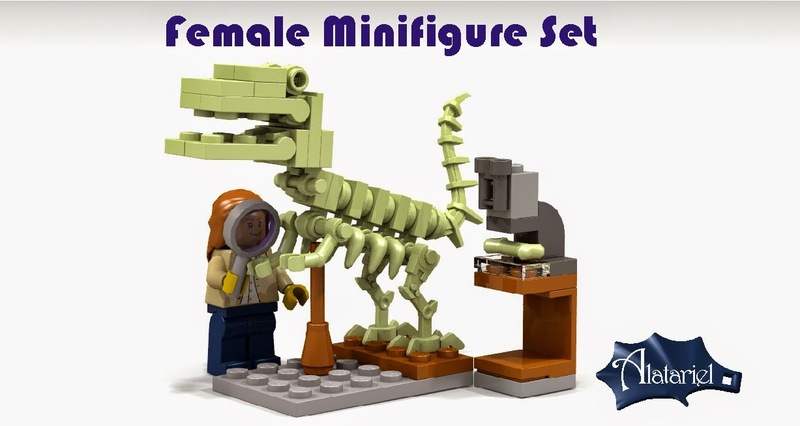 I just saw that you inspired Lego to add the female scientists set. We are encouraging our daughter to consider science as her career. This will inspire her. We would like to promote this through the Rosalind Franklin Society (www.rosalindfranklinsociety.org). Our mission is to showcase the work and careers of eminent women in science, with a distinguished board of leading men and women in science -including 5 Nobel Laureates! Hi Ellen, My name is Jeff Huber, and I write for the magazine Chemical & Engineering News. I'm writing about your female scientist LEGO set for my magazine and was hoping to reprint a picture of the LEGO set to accompany my story. Would this be OK? If you could write back to me at j_huber[at]acs.org, I'd really appreciate it. Hi, I'll buy this for my daughter... Much better role model than LEGO Friends! Thank you. I see that the above comment was "removed by the author" -- too bad as you women all think that only people who agree with your view of the world are worth listening to -- isn't that anti-democratic? 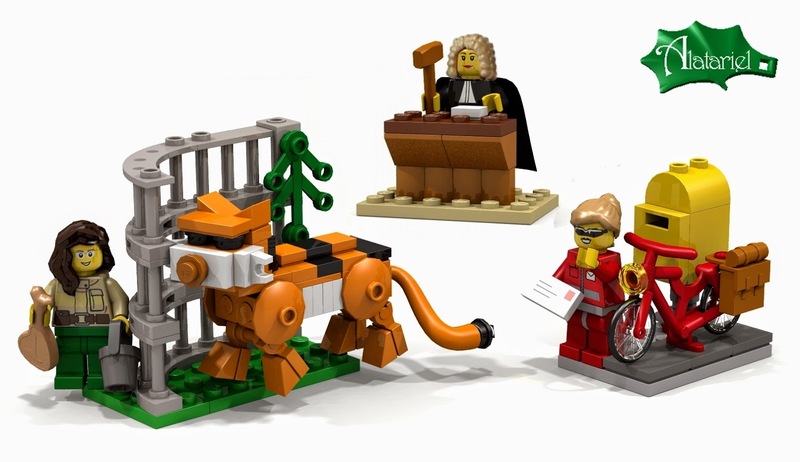 the LEGO kits are a good idea -- but PLEASE ....... lets not ignore millions of years of evolution and its relation to social roles, and how this might effect individual development. Hiya, I can't believe you only have a handful of comments here. I just wanted to say thank you for such an excellent set. All of the models are great, and the 3 chosen are the very best. It's a brilliant addition to any LEGO collection, and any young person's bedroom - female for the inspiration, and male for the reminder and normality. One day hopefully no-one will notice which gender you are when you apply for a job. My granddaughter is 7 years old enjoys playing and building with her Lego's. We wanted to expose her to careers and I came across your "research Institute" and was very impressed and at the same time very disappointed that it had been "retired." It had so much potential. Please continue to design and develop more ideas so that we may expose our children to more games/careers.. Though my girls are still a bit too small for Lego, this is a definite buy for when they grow older. Thanks! Wow! Nice article. Thank you so much for sharing. Just want to share Nova Launcher Prime Apk which is the best Android Launcher.